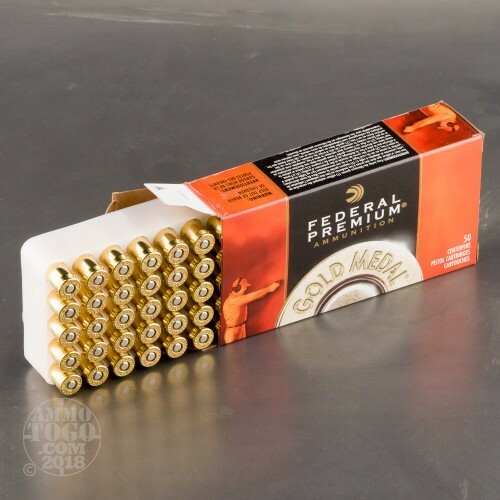 With consistent function and match-grade accuracy, Federal Premium Gold Medal ammunition is the perfect choice for high stakes competition. Gold Medal has been the choice of serious match shooters and military marksmen for more than 20 years. 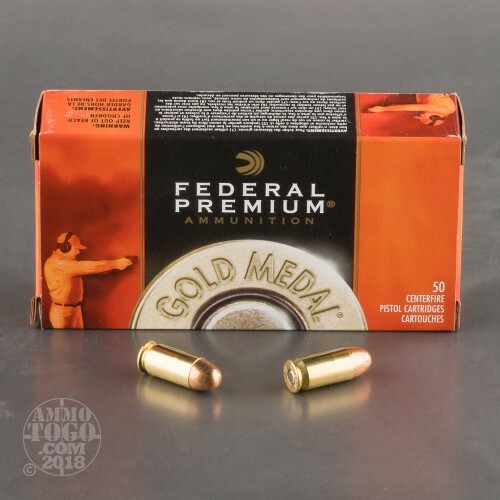 With stringent quality controls and a reputation for excellence, Federal Premium Gold Medal delivers what many professional shooters consider the most accurate match round available from a factory. 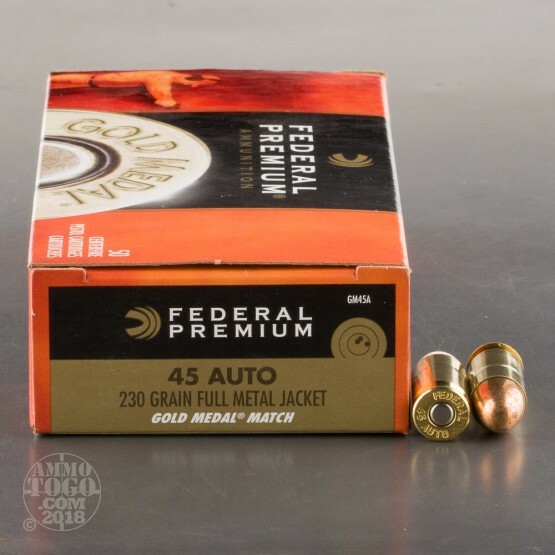 This Gold Medal ammunition combines high-quality full metal jacket projectiles with Federal’s proprietary delivery system. Leaving the muzzle at a velocity of 860 feet per second, each 30 grain FMJ delivers 378 foot pounds of muzzle energy. With almost no terminal expansion, these loads are best suited for target shooting and recreational plinking. 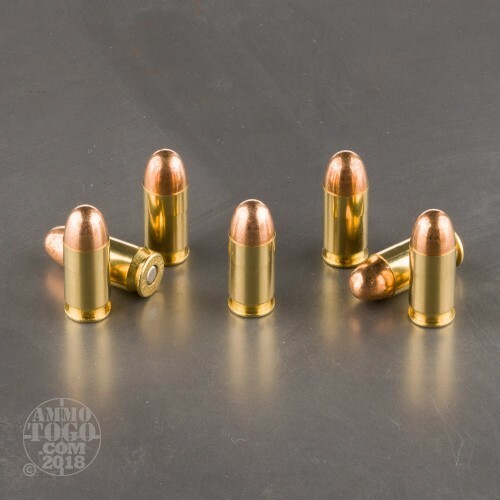 This new production .45 ACP (Auto) ammunition is non-corrosive, boxer primed, and brass cased. Each package contains 50 rounds.